Your teeth fixed in a day with the ALL on FOUR procedure... And just with one surgery! 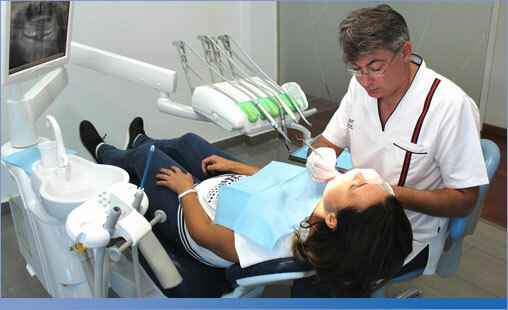 Art&Dent is a perfectly equipped, state-of-the-art clinic in the heart of the city, run by experienced, fully certified specialists, who are at the top of their field. With the All-on-Four procedure, patients receive just 4 implants and a full set of new replacement teeth in just one appointment, without bone grafts! Your entire look in just one day! 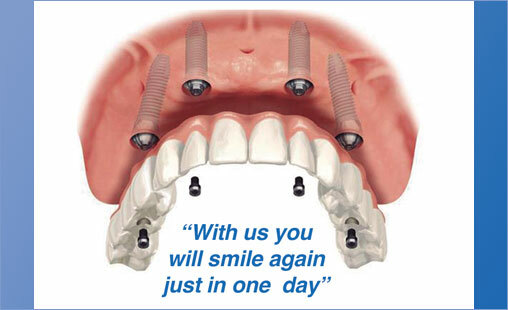 The majority of our patients receive dental implants and permanent teeth in a single day. In implantology, these are called “same day” implants!